Even when you have put every preventative measure in place, your data center could become site of fires or flooding or other unpredictable emergencies. If this happens, then you want to peace of mind that comes from knowing that the data center spe ts you have called will have the experience to get your data center quickly back to work. 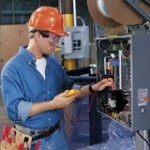 You’ll appreciate knowing that the emergency and all of the equipment will be treated professionally and appropriately. You’ll want the assurance that comes from knowing that the spe ts will be able to restore and repair any hardware or equipment that was damaged during the emergency. When an emergency arises, it will be vital to the health of your business and the consistency of the services that your data center provides, that the emergency team of data center spe ts arrive promptly to your center. The emergency team should be prepared to mobilize at any time during the day or night, over weekends or on holidays. This availability of an emergency team from your regular data center maintenance provider means that you won’t have to hire another crew without familiarity with your data center and its complex systems and machinery. During the emergency, as you are focused on providing a continuity of service and simultaneously trying to contain the negative effects of the emergency, knowing that the data center emergency dispatch team has experience with your data center and your equipment. As you work through the emergency with a team of spe ts from a data center maintenance provider that you are already working with, you’ll appreciate knowing that the professionals are prepared with the emergency chemicals and supplies that have been specifically developed with a data center in mind. It will be important to you that you already know what certifications and specialties the data center spe ts hold and that you have a long standing relationship with their company. 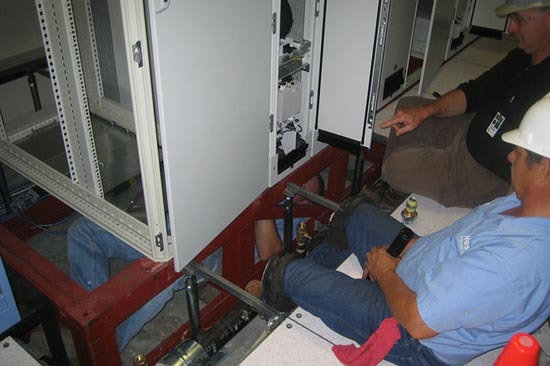 As the emergency begins to wrap up and damages become apparent, you may appreciate that the data center spe ts you are working with understand how to provide repair and restoration services. When you are already faced with the costs of dealing with the emergency, knowing that the emergency team can provide you with repair services can provide you with much-needed peace of mind. Instead of facing replacement costs for all of your machinery, you’ll have the option of that equipment being quickly repaired and tested. 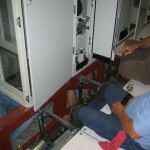 Getting equipment promptly back into service will be the goal of restoration and repair operations. A data center and all of its machinery constitutes an environment that can be sensitive to many different situations which could put the business at risk. With millions of dollars at risk, each and every aspect of the hardware will need careful and consistent monitoring. Without the regular services provided by data center spe ts, the data center could be subject to costly downtime, the loss of digital information or even damage done by inexperienced and unknowing personnel. But when you have chosen a team of experienced professionals who specialize in servicing data centers, then you’ll have the confidence that your data center is in safe hands. Furthermore, when those professionals can respond within minutes of an emergency, you’ll know that your data center’s operations are well-protected. This entry was posted in computer room maintenance, data center maintenance, Facility Maintenance, UPS Maintenance and tagged computer room maintenance, Crytical Systems, data center maintenance, Emergency Power Systems. Bookmark the permalink.